Plan your visit this season. Click map to enlarge. Arrive early. Park on the east side of our campus — or after business hours — in our partner lots at Finemark Bank and the SunTrust building after 6pm and on weekends, or at Waterside Shops anytime on levels 3-5 of the parking garage. We are happy to announce that parking in the surface lots around The Wells Fargo Bank building is available for our patrons on weekdays after 6pm and on weekends. Enter through the Hayes Hall north entrance for all events. Construction is now underway for the repair and expansion of The Baker Museum. 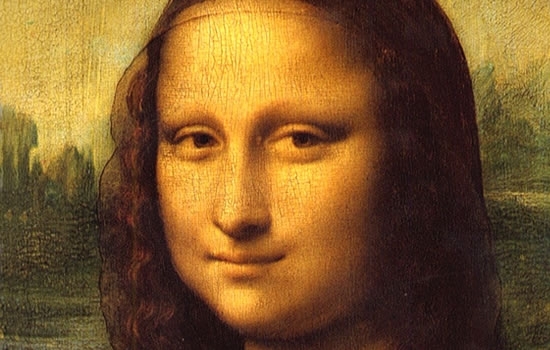 Please plan to arrive early for your performance and enjoy the galleries and cafe. 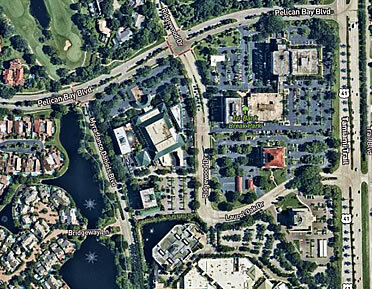 Parking availability on Artis—Naples grounds is slightly reduced given construction. However, valet parking is available for all Hayes Hall events for $10 per vehicle and free self-parking spaces are available around the Cultural Campus, and also at FineMark Bank, Wells Fargo Bank, the SunTrust building and Waterside Shops for evening and weekend performances. The Hayes Hall lobby doors open 90 minutes prior to all Masterworks and Miami City Ballet performances (6:30pm) and 60 minutes prior to all other performances. Entrance doors to Hayes Hall, Daniels Pavilion and Toni Stabile Education Building open for seating 30 minutes prior to the performance or event. Patrons seeking a light bite to eat will now find the cafe at the west bar on the first floor of Hayes Hall. Entrance to Daniels Pavilion will be temporarily routed through the south end of Hayes Hall’s west hallway. Patrons will notice a green fence surrounding the construction area. While some minor detouring on campus may be required during construction, patrons are encouraged to look for appropriate signage and to ask ushers for directions if needed. 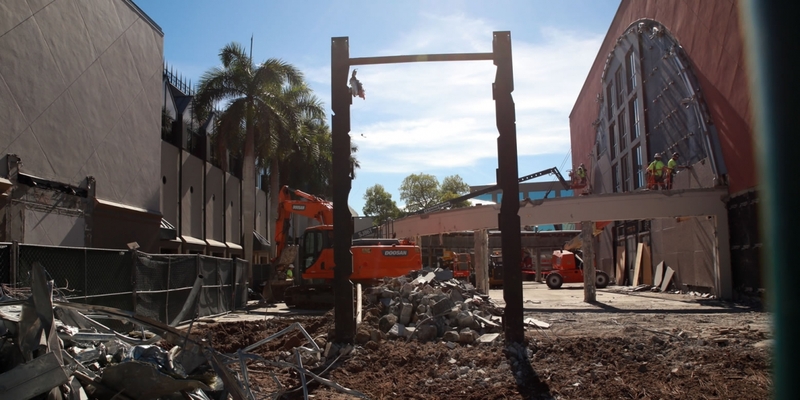 Any questions regarding the project, construction or patron-focused issues such as parking and access can be answered by calling Patron Services at 239-597-1900. 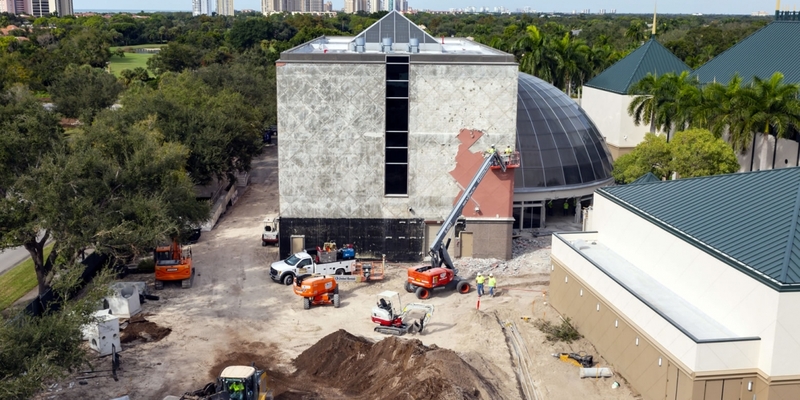 The first project of the Master Plan entails repair of The Baker Museum building’s facade necessitated by Hurricane Irma and the 17,000 square foot expansion of the facility to the south incorporating performance, visual arts, social and education spaces — all elements of Artis—Naples’ interdisciplinary mission. Construction is underway, slated for completion in November of 2019. The Baker Museum will be newly clad in stone and metal with a design that ensures resistance against future storms. This project begins to realize the “heart of the Cultural Campus,” central to the Master Plan, via an open-concept entry with the repositioned Paley Gates and a plaza-like feel in the Norris Garden. The entrance to The Baker Museum will be redesigned, allowing for a larger lobby, relocation of the museum store and museum ticketing in the lobby. The reference reading library will be on the first floor. Additional gallery space will open up on the second and third floors. 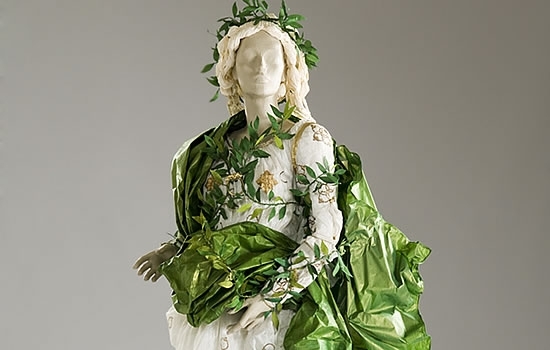 Museum service areas and access will be improved for ease of loading and care of the collection. The initial campus expansion to the south (the expansion portion of the first project) provides indoor and outdoor spaces for education and social engagement, such as a multipurpose classroom and an elevated sculpture terrace. 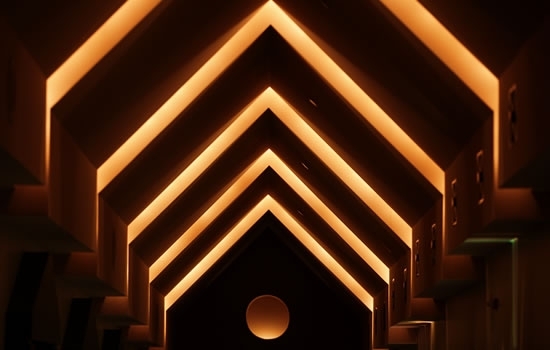 The plan also creates a dynamic event space, which can be accessed via a monumental exterior staircase. 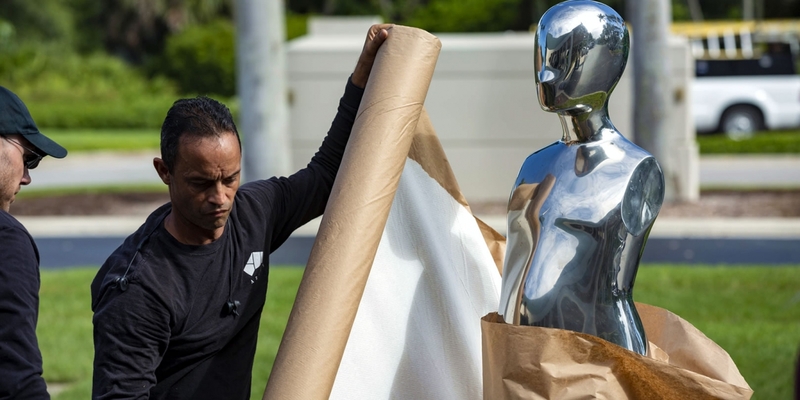 The various sculpted stainless steel pieces of Ernest Tino Trova’s FM/6’ Walking Jackman is carefully wrapped by art handlers prior to storage. 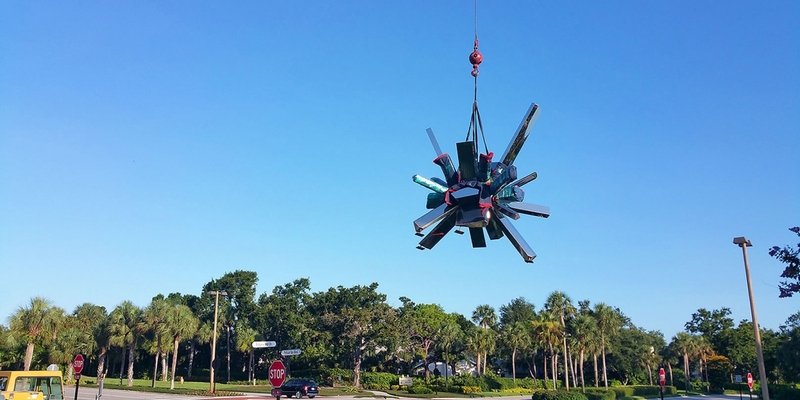 Manolo Valdés Damas III has a temporary new home across Pelican Bay Boulevard to make room for construction activity. 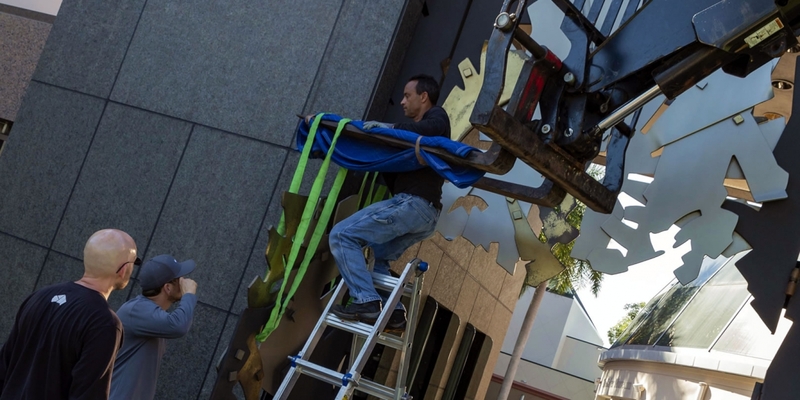 Art handlers carefully deconstruct The Baker Museum’s entrance gates designed by renowned metal artist Albert Paley in the summer of 2018 ahead of the repair and expansion project. 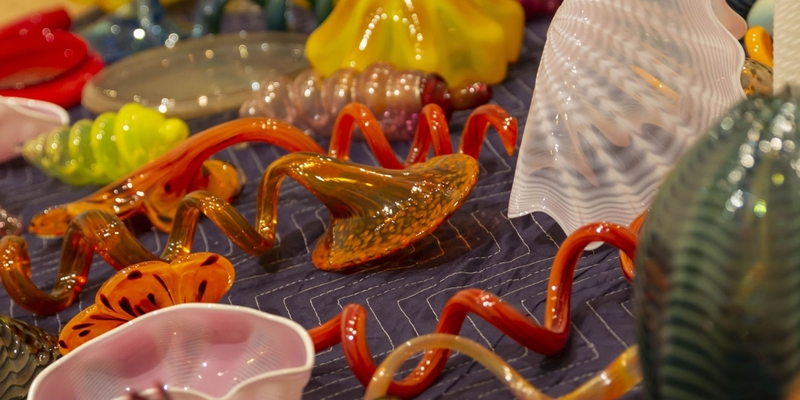 Chihuly glass sculptures are carefully prepared for safe storage ahead of The Baker Museum repair and expansion project. 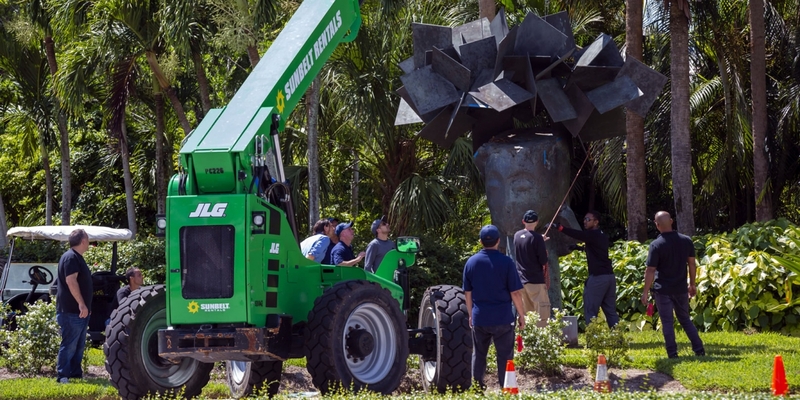 Arik Levy's bold sculpture, RockGrowth 370, is carefully moved to its new home across Ridgewood Drive from Artis—Naples in Pelican Bay. The demolition crew removes the last remnants of The Baker Museum’s facade in preparation for the expansion project. 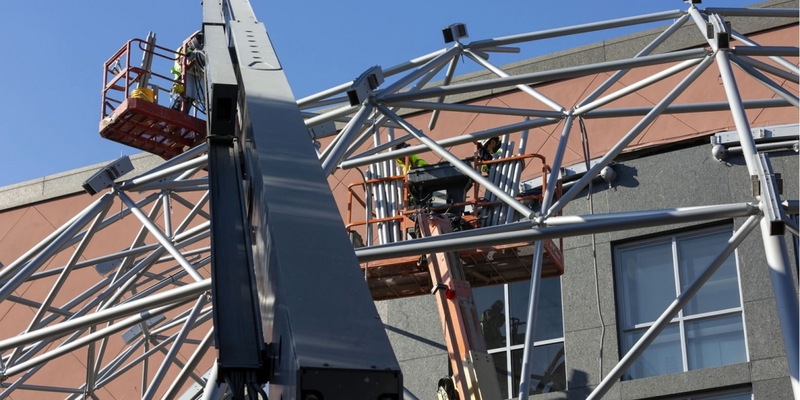 Workers dismantle the Figge Conservatory for expansion of The Baker Museum. The frame for the Paley Gates awaits relocation during removal of the Figge Conservatory.